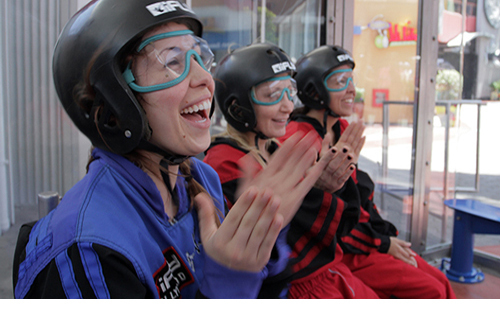 Come Experience Indoor Skydiving... the Thrill of a Lifetime! 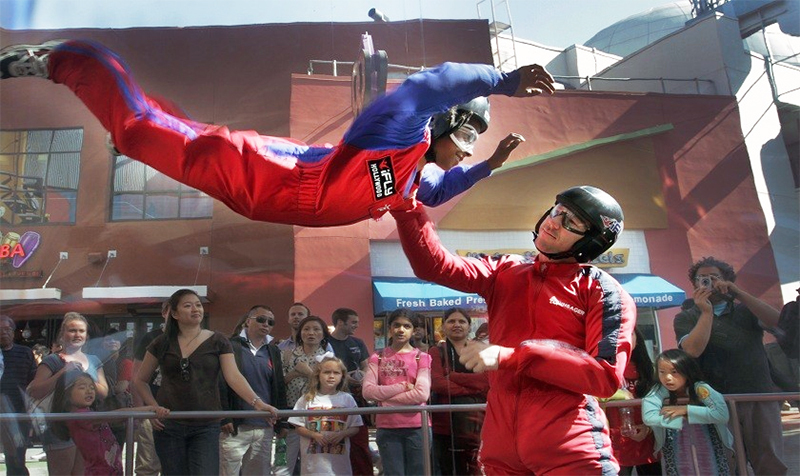 iFLY is the best way to experience indoor skydiving. It provides ages 3 and up the chance to experience the free-fall of skydiving without the danger, restrictions and high prices. The vertical wind tunnel uses state-of-the-art technology, creating a stable column of wind on which the flyer experiences terminal velocity of 120-160 miles per hour. This offers endless excitement, adrenaline, and adventure, while still being safe and fun for an entire family of first-time flyers. It also provides a realistic and challenging flight practice for more skilled flyers. iFLY is an indoor skydiving experience that creates true free fall conditions, just like skydiving, without having to jump out of an airplane. iFLY's 800 hp vertical wind tunnel generates a wall-to-wall cushion of air, on which you safely float. There’s no parachute, no jumping, and nothing attaching you to planet Earth. It’s just you and the air, and it’s the most incredible adrenaline rush. No experience is necessary. Just about anyone can fly, including those with physical disabilities. Children as young as 3, to adults as young as 103 have flown with us. Want to learn more? For Frequently Asked Questions, click HERE. Then, make a reservation by calling the phone number for the location of your choice. Valid for ONE GUEST at iFly Hollywood, CA. Includes 2 flights for 1 person, comprehensive training session, flight suit, helmet & goggles rental, flight instructor assistance throughout flights, and personalized flight certificate. Valid for ages 3 and over. Reservations are required. No expiration date. Valid for ONE GUEST at iFly Ontario, CA. Includes 2 flights for 1 person, comprehensive training session, flight suit, helmet & goggles rental, flight instructor assistance throughout flights, and personalized flight certificate. Valid for ages 3 and over. Reservations are required. No expiration date. Valid for ONE GUEST at iFly San Diego, CA. Includes 2 flights for 1 person, comprehensive training session, flight suit, helmet & goggles rental, flight instructor assistance throughout flights, and personalized flight certificate. Valid for ages 3 and over. Reservations are required. No expiration date.